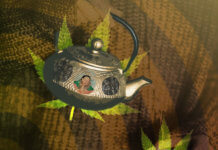 Okay everyone, so we all like smoking weed – But can you have too much of a good thing? 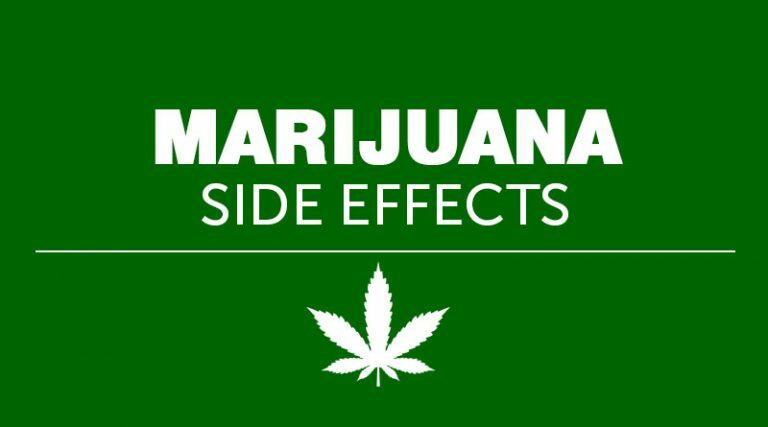 With weed getting stronger and stronger and more readily available, its important to look into some of the side effects and long term effects of weed. What will happy from smoking weed every day? And how important is the hallowed “tolerance break”? First, lets start off with some of the side effects. The biggest and most obvious one would have to be forgetfulness. Its no secret, stoners have a hard time remembering things. That being said, if you have an important assignment due, or a particular issue to pay attention to, perhaps limit your cannabis intake! There’s nothing wrong with smoking cannabis, but to avoid the stigma of the hopelessly irresponsible stoner, its important for us users to break those old stereotypes and show the world that we CAN smoke responsibly! Another common side effect is the famous paranoia. 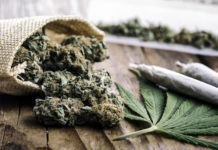 While smoking cannabis (especially with new users) it is not uncommon for people to “over-smoke”, causing some anxiety, and in the worst cases, paranoia. The severity of these attacks will vary significantly person to person, and can range from mildly uncomfortable, to full blown panic attacks. If you’re the type of person to experience social anxiety, I would recommend that you avoid smoking pure Sativas, as they tend to induce more “mind active” effects. These types can cause you to overthink, see patterns in events that may not actually be there, and provide you with an overall bad high. For these people I would recommend toking Indica or Hybrid strains, saving new Sativa varieties for moments when they can be alone and safe somewhere to feel out the new high. Some other short-term side effects include dry mouth and red eyes. The first of those issues is easily solved with a small water bottle brought with you to the sesh (hydration is always important!). The second is a bit more difficult, but can be solved with sunglasses or Visine eye drops. Okay, now on to some of the long term effects of smoking weed every day. For starters, this can definitely screw with your sense of motivation unless you are a very strong willed person. Smoking cannabis releases dopamine into your system. Dopamine is the neurological chemical associated with the reward/accomplishment side of your brain, normally reserved for moments of success in some project, sexual satisfaction or other pleasing exhilaration. By habitually smoking weed every day, you run the risk of REPLACING the previously mentioned pursuits for the simple dopamine rush you get from smoking. Its no secret, stoners have a reputation for staying indoors, not getting up to very much. 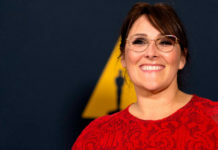 This is because, in their mind, they don’t NEED to do anything to get the same reward feeling in their brains as non smokers do from accomplishing goals. There is a difference between use and abuse. I cannot stress this enough. For non-medical patients, if you are in a position where you are smoking daily JUST to crush through boredom, you are on the road to unbalanced mental health. Cannabis is a sacred plant, which should be used to reflect on your position in life, inspire creativity or to medicate on some issues. Now, onto the hallowed “tolerance break”, or a “T-Break:”. 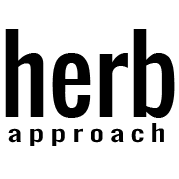 Whether you’re travelling, going through an intense exam period or simply wish to cease all intake – most people have taken a break from Cannabis for at least a short time. By doing this, you will not only allow your brain to return to normal dopamine levels but also see an increase in how often you remember your dreams, sharper focus and even the ability to read faster. 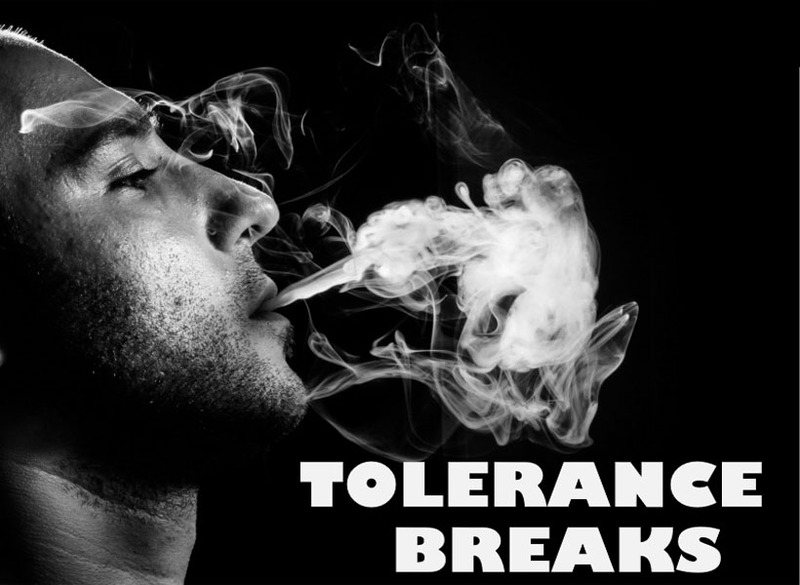 In short, a tolerance break is a wonderful way to “reset” your mind, allowing you to enjoy your pot even more when you return to smoking later. Not only that, but your first sesh upon returning to the Sweet Leaf will have you higher than a hippy in a hot air balloon.